Exterior of the F.M. 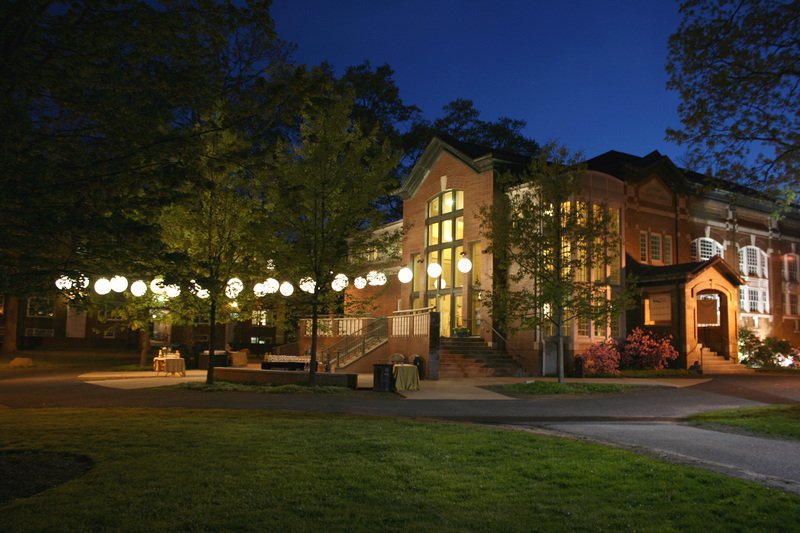 Kirby Theatre, home of the Shakespeare Theater of New Jersey located on the campus of Drew University in Madison. The Shakespeare Theatre of New Jersey’s 2015th season was released today and includes classic works by George Bernard Shaw, George S. Kaufman, Edna Ferber, Ferenc Molnár, alongside a contemporary work by Bill Cain and, of course, Shakespeare. The season, which marks Artistic Director Bonnie J. Monte’s 25th anniversary with the company, runs from May through a holiday-oriented production of “Merry Wives of Windsor” in December. It includes six main stage productions at the F.M. Kirby Shakespeare Theatre at Drew University in Madison and the summer staging of “Love’s Labour’s Lost” at the Greek amphitheater at The College of Saint Elizabeth’s outdoor stage. 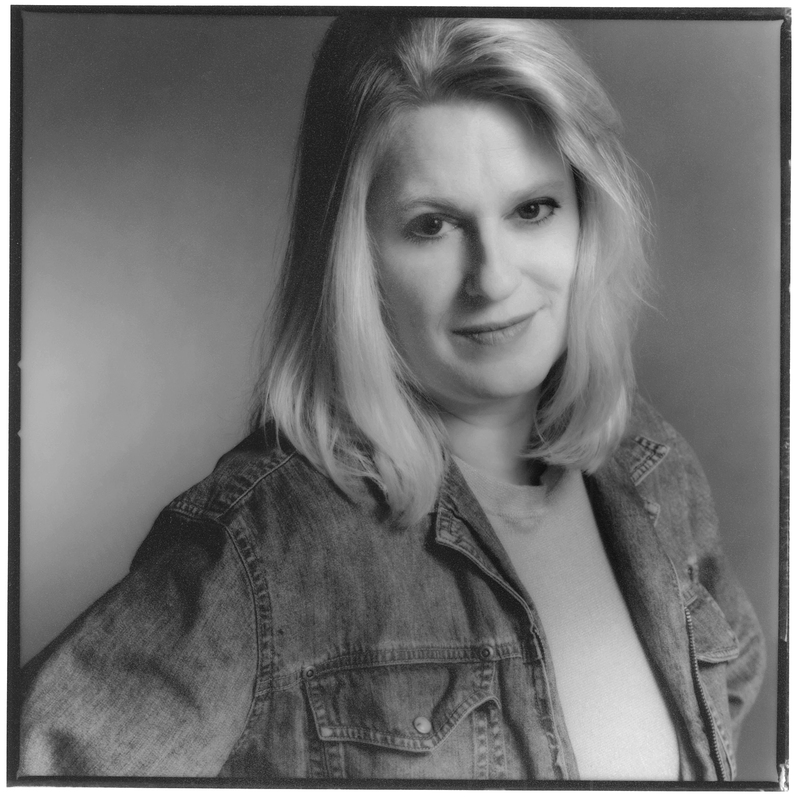 Bonnie Monte is celebrating 25 years as artistic director of the Shakespeare Theatre of New Jersey. THE ROYAL FAMILY by George S. Kaufman (“You Can’t Take It With You,” “The Man Who Came To Dinner”) and Edna Ferber (“Stage Door,” the novel “Show Boat”). Bonnie Monte directs. The Tony Award-winning American classic depicts the bonds created by one’s real family and the one that exists on the stage as it celebrates the passions, tribulations, and triumphs of the dynastic Cavendish family, three generations of theatre artists, loosely based on the Barrymore clan (pre Drew Barrymore, of course). May 27-June 21. THE GUARDSMAN, early-20th century Hungarian playwright Ferenc Molnár’s romantic comedy about the obstacles to marital bliss. His provocative examination of the ambiguities in a marriage between Vienna’s strong-willed leading lady and her beleaguered actor husband is both witty and moving. July 8-July 26. MISALLIANCE, George Bernard Shaw’s boisterous, biting comedy. Artistic Associate Stephen Brown-Fried directs. Set in the lush solarium of the Tarleton family’s sprawling country estate, patriarch John Tarleton, king of the undergarment industry, struggles to maintain control over his headstrong daughter, rebellious son, high-maintenance wife, and a host of friends, colleagues, and unexpected visitors, some of whom happen to “drop in” from out of the sky. Shaw creates a chaotic clash of class, gender, and generations as he exposes and dismantles the idiosyncrasies of the upper class and “family values.” August 5-30. EQUIVOCATION, New Jersey premiere of Bill Cain’s imagining of the events surrounding the famous Gunpowder Plot. Shakespeare and his company of players are pulled into a riotous, complex examination of the elusive nature of truth, the struggle for artistic integrity, and the heartbreaking dynamic of family. With Shakespeare as the main character (or Shagspeare as he is called here), this funny and smart show will intrigue Shakespeare lovers, history buffs, conspiracy theorists, political junkies, and anyone who loves a good story. September 16 -October 4. THE DIARY OF ANNE FRANK, Francis Goodrich and Albert Hackett play adapted by Wendy Kesselman. If Anne Frank hadn’t been given a blank diary for her 13th birthday, one of the great stories to come out of World War II would have been lost. The play based on that diary has won a Pulitzer, Tony and Critic’s Circle Award and provides an unforgettable experience for people of all ages. Numerous school-time matinees for students are planned and performances being October 14. MERRY WIVES OF WINDSOR, Bonnie Monte helms Shakespeare’s rowdy and bawdy play that celebrates “family” in all its infinite aspects. The production takes inspiration from the holiday season with a roguish Falstaff as the centerpiece, surrounded by colorful characters and scenic delights. December 2-27. “LOVE’S LABOR’S LOST” by Shakespeare. Brian B. Crowe directs (he helmed “The Learned Ladies” last summer). 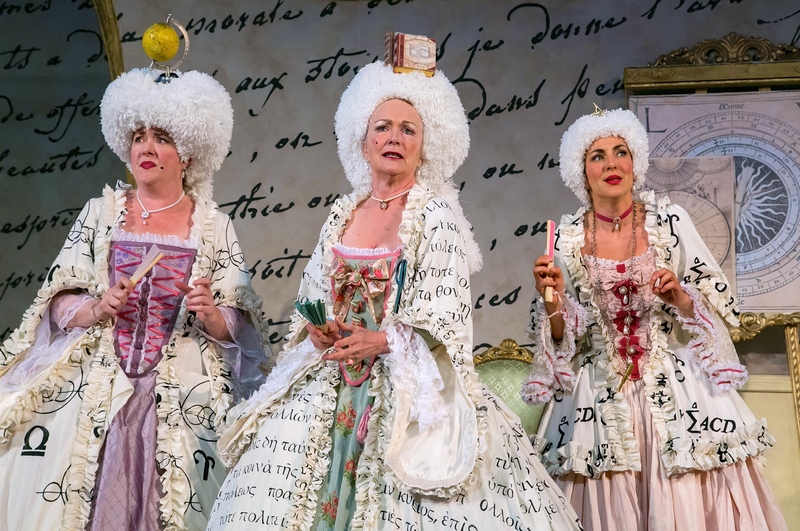 The comedy concerns three idealistic young courtiers who vow “not to see ladies” in order to “study, fast, not sleep!” But when three witty French beauties arrive in court, testing the young lords’ resolve, the result is one of the Bard’s most delightful romps. June 17-July 26. — FROM GALWAY TO BROADWAY, 7:30 p.m. March 5, acclaimed tenor Ciáran Sheehan of “Phantom of the Opera” fame, and Broadway veteran Gwen Eagleton perform a medley of traditional Irish songs, Broadway standards, and pop tunes in time for Saint Patrick’s Day. Tickets $20 and proceeds benefit The Shakespeare Theatre’s young artist education and training programs. — SOMETHING WICKED THIS WAY COMES, Oct. 26, a 90-minute collage of dramatic readings from the classic canon of the macabre. The title comes from a line in Shakespeare’s “Macbeth” and features company actors from The Shakespeare Theatre company plus guest artists. — SOMETHING MERRY THIS WAY COMES, December 14, a collage of sparkling and inspiring holiday tales, songs, and poems read by members of the company’s actors hearkening back to a time when families read to each other. Appropriate for all ages. — LEND US YOUR EARS, script-in-hand play reading series featuring company actors and guests. Titles TBA.